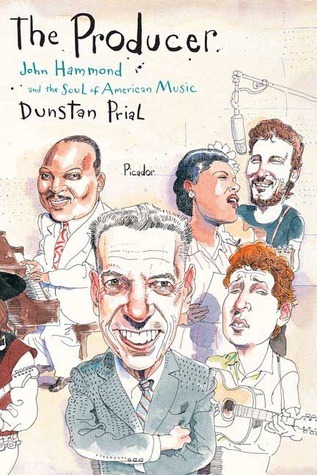 Recently I finished reading, The Producer: John Hammond and the Soul of American Music by Dunstan Prial. My 'jazz book club' series of posts include: Miles Davis, Chet Baker, Herbie Hancock, Charles Mingus, Charlie Parker and Sidney Bechet. Instead of doing a traditional book review, I wanted to share what I learned along with some music. John Hammond was a 20th-century critic, journalist and producer. Hammond grew up as part of the Vanderbilt family - one of the wealthiest families in America during the Gilded Age. While he was young Hammond became obsessed with music, and would sneak into Harlem to listen to jazz and blues performers like Bessie Smith. John Hammond is known for discovering many of jazz's great performers and recording them: Billie Holiday, Benny Goodman, Charlie Christian, Lionel Hampton, Teddy Wilson and George Benson, among others. Hammond was deeply involved with desegregation, and pushed for Benny Goodman to hire Teddy Wilson, Lionel Hampton, Billie Holiday and Charlie Christian. Hammond saw Goodman's popularity as a bridge into having mixed bands not only on recording, but in tours throughout the country. Hammond eventually played an active role in the NAACP. It is amazing to think how many jazz legends met each other through Hammond. 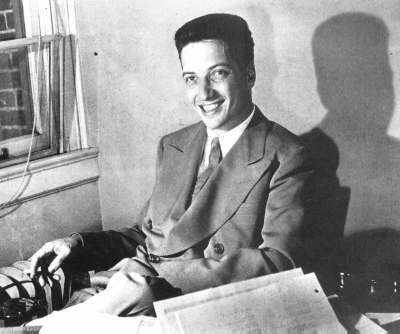 Some iconic pairings in jazz, such as Freddie Green and Count Basie, Lester Young and Billie Holiday, Teddy Wilson and Benny Goodman, were caused by Hammond's work as a producer and impresario. Hammond worked for many record labels, including Columbia Records. In addition to his work with jazz, Hammond discovered such greats as Aretha Franklin, Bob Dylan, Stevie Ray Vaughan and Bruce Springsteen. It was interesting to hear that Hammond pushed for Bob Dylan even though Columbia wanted to drop him from the label. Going against the popular opinion, Hammond was able to discern talent and help many artists achieve success. Learning about John Hammond allowed me to put some great milestones in American music in context. Please subscribe to Kind of Pink and Purple by email (top right of the page) and follow on other social media: Twitter, Tumblr, Instagram, Google Plus, Pinterest. Also, please visit my jazz poetry blog, Without a Poem, and my musician website, gracemaryburega.com.